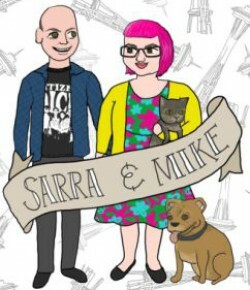 We started our honeymoon (Mike calls it our agavemoon; I am calling it our eatingmoon because it is all about food) over the weekend. We went down to Portland on Friday so we could attend the Vegan Beer & Food Festival on Saturday. 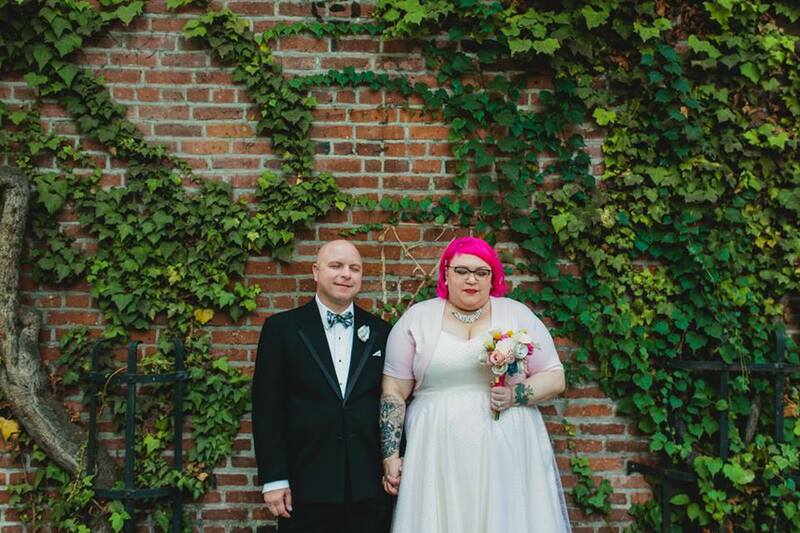 Sorry for vanishing, friends, but we got married! On Sunday! Things are only just starting to get back to normal, and that’s only going to be for the next day or two, since we leave on our mini-moon on Friday. I thought we’d be able to MoFo right up until the wedding – having never had a big wedding (my first wedding was basically an elopement, barefoot on the beach), I was terribly naive, clearly – but everything got very hectic about a week before, and the wheels just came off the MoFo bus. Don’t give up on us, though, because we’ll be trying to blog while we’re eating our way through Austin, and we’ll be back to cooking and blogging regularly in October. And of course we want to write up a post about the wedding – and the FOOD at the wedding – sometime soon. We miss blogging, and we miss y’all, and we really miss the community we’ve found this month. Mike’s face here, y’all. No matter how many times I look at it, it takes my breath away. If you’re on Instagram, check #blatchwedding2015 (not our real last name) for some of the photos our friends took and shared! P.S. Speaking of Austin, who’s there and wants to meet up for drinks and/or food and/or bats and/or whatever? Posted in love, personal, us, wedding	Tagged fake meat and true love, love love love, our wedding, personal, we got married! Barack Obama is coming? The President of the United States of America? Heck, our house is in no state to entertain world leaders…let’s go buy that man a beer! 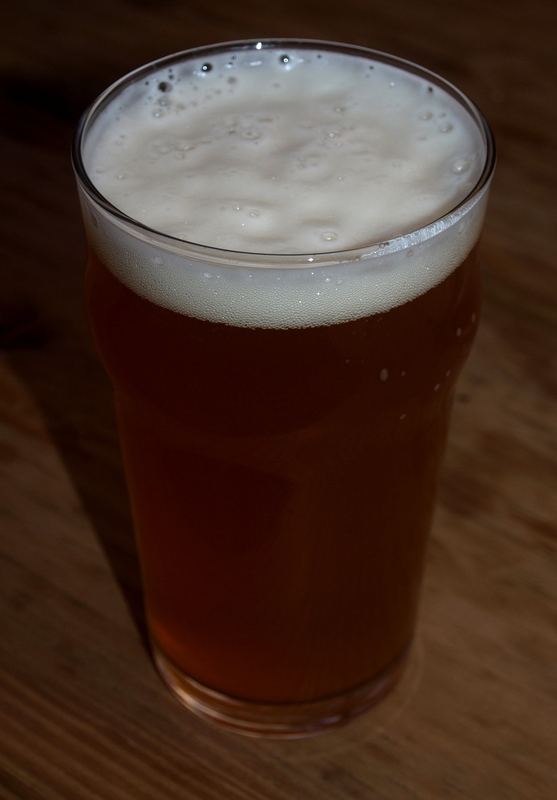 Oatmeal Pale Ale – Look at the froth! 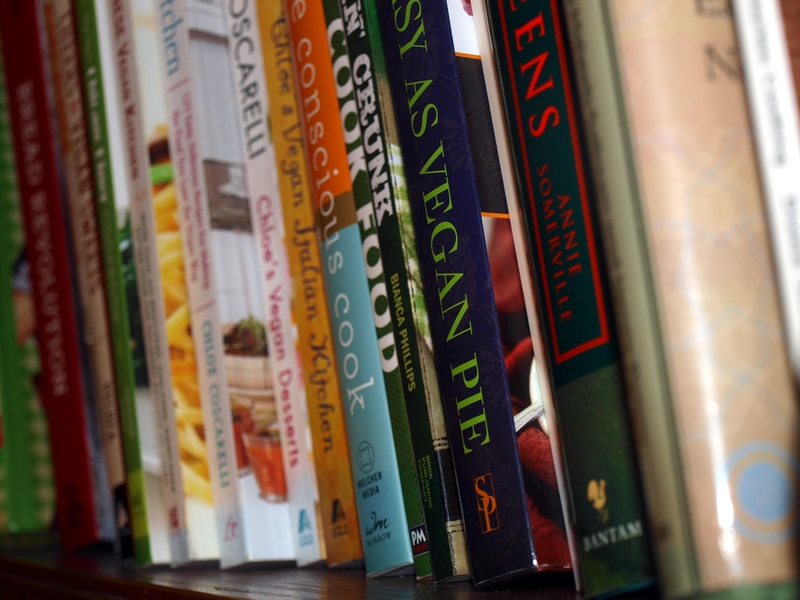 Vegan MoFo, Day 12 – Tell us about your favourite cookbook! Hello, world! Today, I get to talk to you about my favorite cookbook(s)! You may not understand the scale of this undertaking. We have a lot of cookbooks. A lot. Seriously. There are three shelves on our baker’s rack of cookbooks, and we’ve run out of space and started stacking them in front, too. It was a difficult choice. This is about 1/3 of one shelf. When we first started talking about this prompt, there was a fair bit of “…” and “?? ?” and *shrug*. Mike joked that we should just focus on b12 by making all the noochiest things we could imagine. Gosh, we love the nutritional yeast around here. It’s hard to believe there was a time in our lives when we didn’t even know it existed. I started flipping through Jae Steele’s Get It Ripe for ideas, noticing all the foods that contain various B vitamins: black beans, Romaine lettuce, spinach, tomatoes (thiamine); legumes, spinach (riboflavin); avocado (niacin); cauliflower (B5); avocado, cauliflower, walnuts, cabbage (B6); and of course B12 in nutritional yeast. Inspiration struck. I have seen so many creative blog posts today! I am loving the countless ways people chose to interpret this prompt! Mike and I talked about “thinking outside of the box” for this prompt – or, rather, outside of the blueberry. But last year, at the height of berry season (and after I had made our fill of jams), I canned a quart and a pint of blueberry pie filling. And while I knew I didn’t want to make a pie, I was eager to crack open one of those jars for this prompt. I also challenged myself to make something I’d never made before. Disclaimer: this isn’t a recipe. It is, however, a very retro dinner. Mike and I are both really drawn to retro and vintage styles and items. We love the aesthetics from the 1950s & 1960s – Mike loves cocktails and mod and anything atomic in particular, and I can usually be found in full-skirted dresses with a pocketbook and bright lipstick. (Mike hasn’t seen Mad Men yet, but I’m looking forward to watching it with him just so I can see him get all swoony over the clothes and furniture.) Additionally, we’re both defined in a lot of ways by the pop culture of our respective childhoods, adolescences, and young adulthoods. We’re both very nostalgic people, by and large, and really prone to reminiscing and “Do you remember…”. We’re your basic Gen-X cliché, is what I’m saying. I have an abiding fondness for vintage cookbooks, even if they are loaded with pictures of dead animal parts. I assumed I’d turn to one from my collection to find a recipe to veganize, but then I had a flash of inspiration.